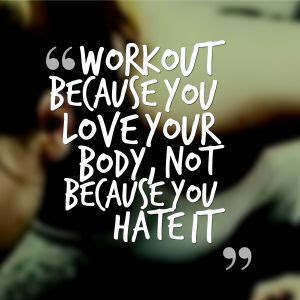 This week Nichole’s tips on Working Out to LOVE your Body. A Healthy Recipe from me + Fitness Tips from Nichole= a healthy, happy, balanced life! Nichole’s Working Out to LOVE your Body. . . I read a quote that I loved this week and wanted to share. You have to remember this as you go about your crazy life. I know that so many of us wake up with the sun, or even before, and feel like the day never stops from there. I hear far too often that “I just don’t have time….” Today’s fit tips are ways to fit in the time your body, and mind, need each day. 1) First and foremost, get it done in the morning. Get it done before you get too busy answering emails, chasing kids around, cooking dinner, and anything else that has that uncanny ability to sneak in. 2) Work out efficiently. Don’t feel like you have to have a ton of time, sneak in 20 minutes of intervals on those busy days. 3) Cater to your likes. It is much easier to find time to do something that you like doing versus something that you hate doing. That doesn’t mean you shouldn’t try new things. But it does mean if you hate running don’t try to force yourself to run everyday. 4) Make a competition out of it. Competitions, for me that means races, can be highly motivating. 5) Make a schedule and stick to it. Your workout is important, don’t skip it. Instead schedule it, plan it, and fit in other things around it. Remember, this isn’t just about fitting into those skinny jeans. Working out is one of those things that your body needs in order to thrive. Salmon Avocado Salad with Sweet Vinegar Dressing is such a beautiful combination of flavors your tastebuds will be in heaven! Salmon Avocado Salad with Sweet Vinegar Dressing is healthy, healthy, healthy! Did I mention healthy?! lol. It’s starts off with power greens, avocado slices, cucumbers, tomatoes, snap peas, and then add salmon and a sprinkle of sesame seeds on top AND I think you’ll agree it’s a powerhouse of fabulous nutrition! Salmon Avocado Salad with Sweet Vinegar Dressing is a beautiful presentation and makes for a fabulous lunch or dinner anytime! Salmon Avocado Salad with Sweet Vinegar Dressing will be one of your favorite new salads! Enjoy. Place 1 cup of greens on two serving plates. Arrange avocado, tomatoes, cucumbers, and snap peas on greens. Top each salad with one salmon fillet and 1 tablespoon sesame seeds. Whisk together dashi, rice vinegar, soy sauce, and sugar until sugar is dissolved.